David Hogg is one of the student survivors leading the "Never Again" campaign. He is also thinking about majoring in journalism. 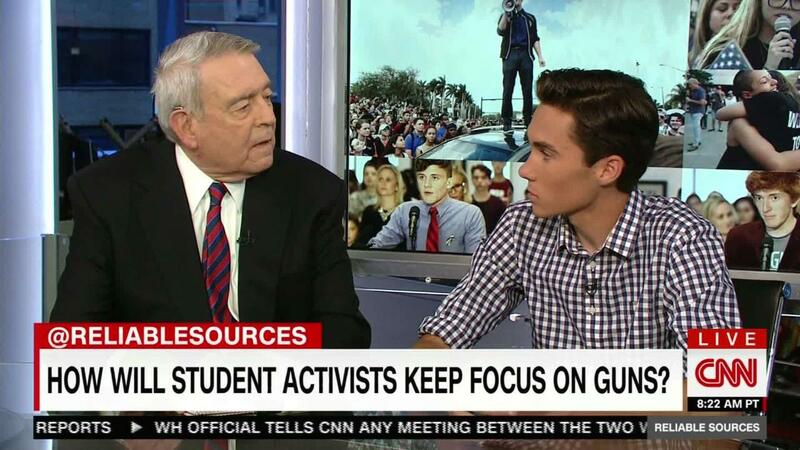 In this interview with Brian Stelter, Hogg also speaks with veteran news anchor Dan Rather about student activism and media coverage. Rather offers Hogg some career advice.